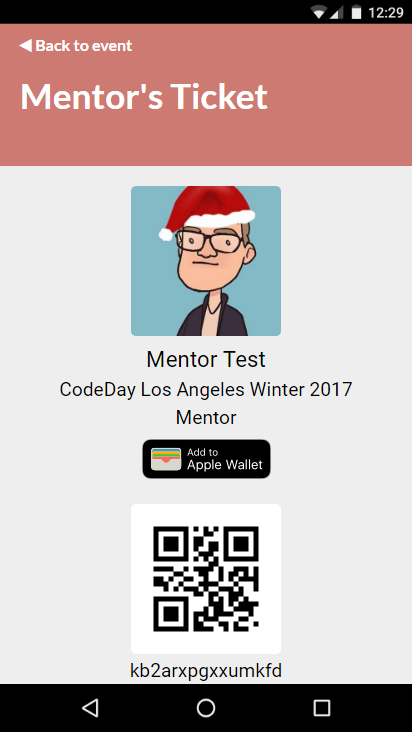 The web version of the CodeDay Companion app is a highly simplified web interface using Angular.js for the UI and Firebase for cloud messaging. It provides a subscription to push notifications through Clear. 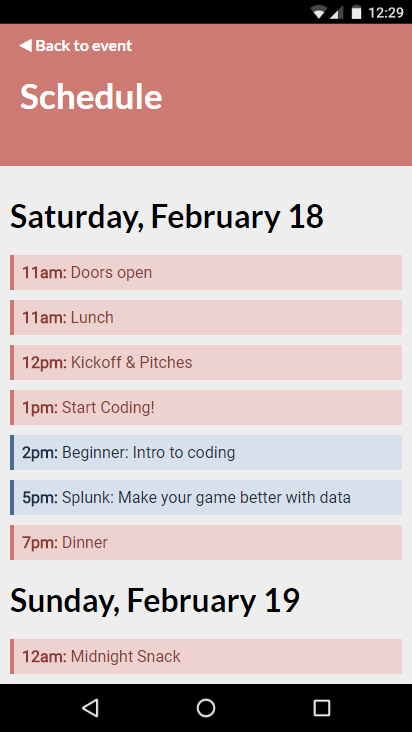 CodeDay Companion is a web app that will assist you during the event, giving you useful information such as the event schedule, staff contact info, and your ticket. 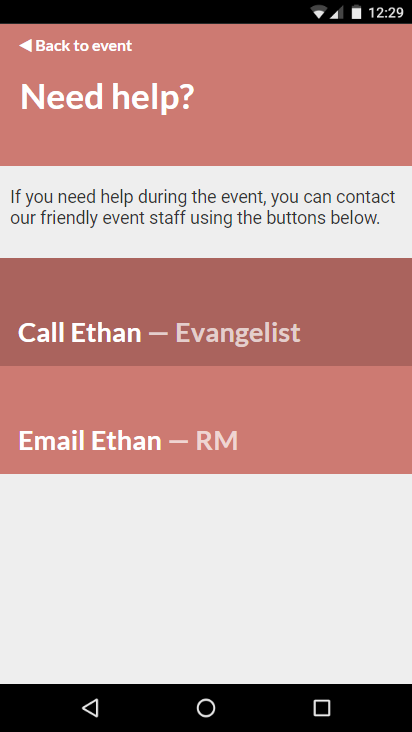 You can “install” this on your phone as well, by pressing the “Add to Home Screen” button in whatever browser you’re using. 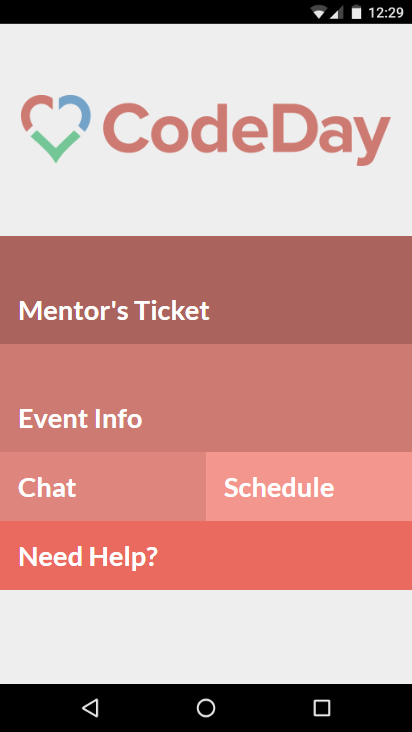 It works best on Chrome Android, though, since it has themes and stuff.